Ray Cole has been involved with organic agriculture, permaculture, and sustainable systems and social justice since 1996. She developed two of her own farms with permaculture principles in California, and the farms were used as training centers. 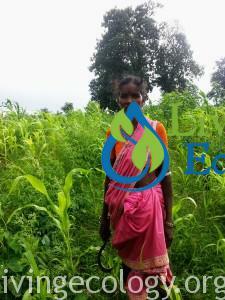 She has provided permaculture consultancy and implementation on farms in the United States, Costa Rica and India. She has taught wilderness, primitive and nature awareness skills. She is an herbalist with a medicinal herb product business, Simply Being Botanicals for which she grows and wildcrafts the herbs. In 1995, with the One World Global Education project, Raya had her first involvement in international development. It was a transformative experience to her perspective on the world and social justice. Since then she has focused on living gently on the Earth while giving equal respect to all living beings; human, plants and animals. She contributes her knowledge of permaculture, group and community collaboration skills to the intern program at Living Ecology. Joyed to be working on a project that aids the work of an incredibly effective development organization, she provides advanced mentorship and training to permaculture students. Raya is the contact person for volunteers and interns who wish to participate in the practical application permaculture programs in India through Living Ecology and Aranya Agriculture Alternatives. An extensive advanced education in permaculture makes Raya the cornerstone of Living Ecology project outcomes. 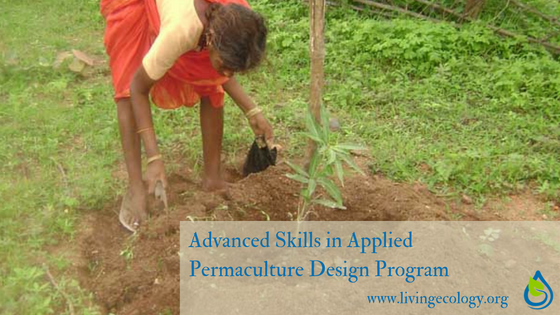 Her Permaculture Design Course was completed in 2003 in the Earth Activist Training. 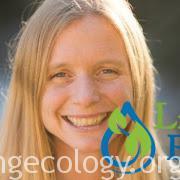 She has worked with professionals and permaculture instructors all over the world. Educational highlights include a 10 week internship with Geoff Lawton at The Permaculture Research Institute in Australia and 8 months at The Regenerative Design Institute in the Cultural Mentoring Program where she helped train the first year students in the Regenerative Design and Nature Awareness program with Penny Livingston-Stark and Jon Young. She also completed Aquaponics Design with Max Mayers, Holistic Management with Kurt Gadzia, Holistic Orchard Management with Michael Phillips, Keyline Design and Land Management with Darren Doherty, Advanced Permaculture Design Consultancy with Robyn Francis, and Soil Food Web training with Eliane Ingham. Her work and study have been remarkable.